“The violet thinks with her timid blue eye, to pass for a blossom enchantingly shy” Frances S. Osgood! 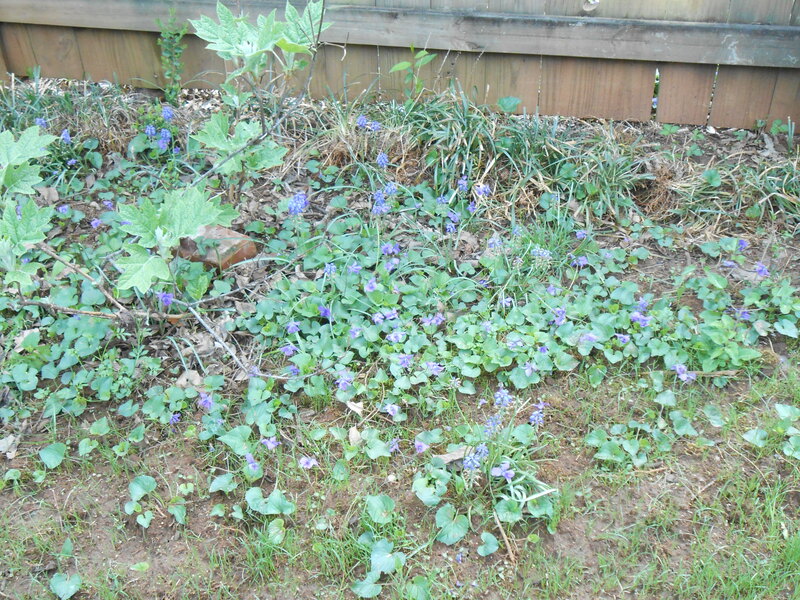 The April Herb of the Herb Society of America is the violet. Called the “flower of modesty” because it hides its’ flowers in the heart-shaped leaves. A native of the Mediterranean region, the oil is used in the perfume industry. Yes, it is pretty to see on a green lawn, but it is a weed and spreads rapidly. KILL IT!